As most of you already know, I'm running all of the Michigan Summer races of Great Lakes Endurance this year. 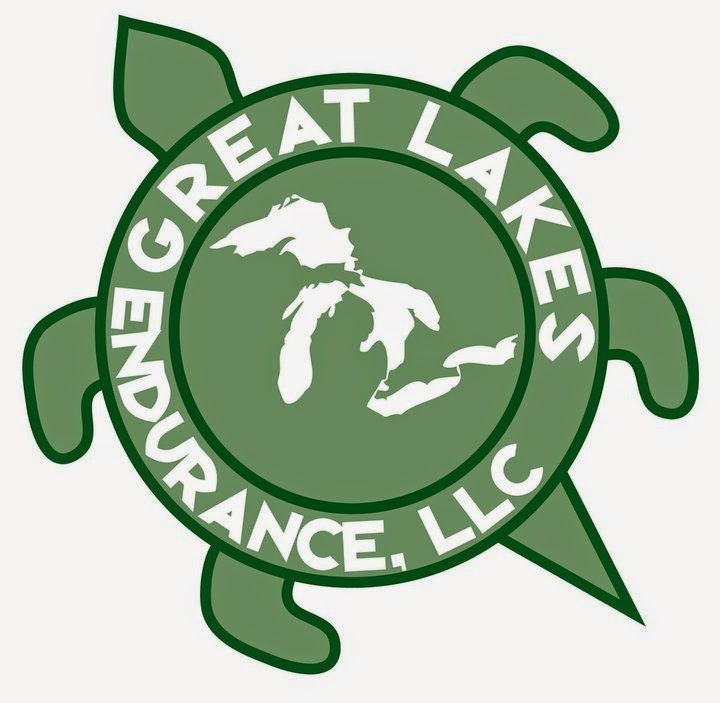 Not only do I have an opportunity to experience all their races this year, I also got a chance to interview Jeff Crumbaugh of Great Lakes Endurance to get to know a little about him and his organization. I hope you enjoy this as much as I did as this will really get you pumped up to run one of their races. Jeff Crumbaugh: I organized a 10K road race in Holland, MI when I was a Junior and Senior at Hope College (1982 and 1983). Then when I was working in public health with Sault Ste Marie Tribe of Chippewa, I organized the Billy Mills 5K. We invited Billy and he ended up returning year after year. Later on when I was living up in the Keweenaw I had an idea to host three races in one weekend on three of my favorite trails. 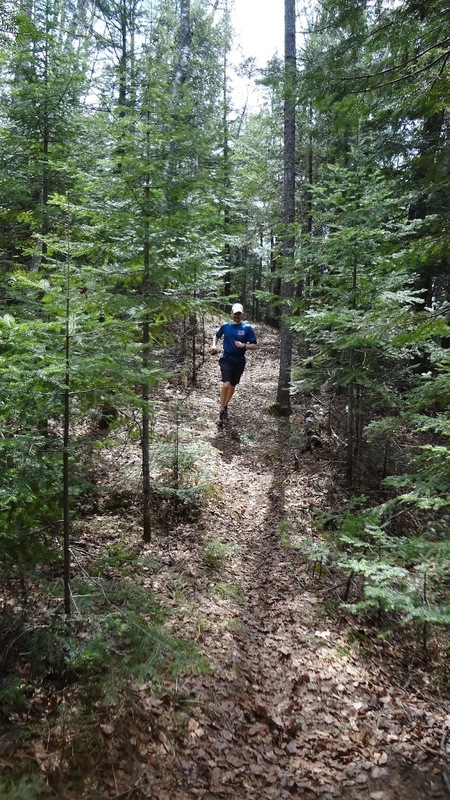 The Keweenaw Trail Running Festival was born, with a 10K along Lake Superior at McClain State Park on Saturday morning followed by a 6K Hill Climb in Eagle Harbor to the summit of Mt. Lookout. On Sunday we hosted a 25K on the Maasto Hiihto Trails in Hancock. The event became a big hit, especially after Tom Henderson and Carter Sherline published a 7 page photo essay in Runners World Magazine. Later on, the 10K and 25K moved up to Copper Harbor. A few years after that I was having a conversation with Jim Engel and I asked him, “What do you think about a marathon on Grand Island?” He thought it was a great idea and we went ahead with it. The logistics were incredibly difficult but we pulled it off and soon it was recognized by Runners World as one of the best new marathons in the U.S. We now have 7 races but that is how it all started. Detroit Runner: What made you focus on trail races? Jeff Crumbaugh: I loved running through the woods as a kid. Then in high school my friend Bryan Burns organized a European style cross country race in Carson City, MI. We crossed creeks and ran over log obstacles. It was inspiring. When I was in graduate school in Ann Arbor I raced the Michigan Trail Half Marathon organized by Jeff Gaft of Running Fit and loved it. This was in the late 80s. I then moved to Mammoth Lakes, California and ran all the beautiful high elevation trails between there and Yosemite. I was 33 miles by trail to Tuolumme Meadows. You could easily do a 6-7 hour loop in the mountains and just be amazed at the beauty. That is when road running faded away and sort of became meaningless to me. Detroit Runner: Tell us some of what goes into a successful trail race. Jeff Crumbaugh: Beauty. Aesthetics are an important consideration. It is what inspires me. Logistics are also important. Can we access the trail easily at points to set up aid stations? Because many of our locations are remote we also need good radio communication and good volunteers at aid stations. We have set up races that are far away from major population centers so that limits the size of our race, but we are already limited (as we should be) by permits. We have fostered a good relationship with land owners and that is critical, too. With our races we work with the US Forest Service, the Michigan DNR, as well as private land owners. Detroit Runner: The courses you offer look incredible. How do you go about finding such awesome trails? Jeff Crumbaugh: Sometimes people will call us and say, “Have you ever thought about a trail race here?” and I will travel there and run the trails and if I like it (which is almost always yes) we set up a race there for the following year. Other races are in places that I like to run. Grand Island is my favorite place to run in the world. I took a summer class at the Conserve School in Land O’Lakes, WI (just across the border from the Slyvania Wilderness in Michigan) and ran the trails there every day. Imagine running on single track along seven wilderness lakes within a 12 mile run. I spoke to the Headmaster of the school and the next year we held a race at the Conserve School. It is our smallest race but if people ever discover this they will fall in love with it. Detroit Runner: I see you're planning your first Ultra marathon this year. Any plans to go longer than 50k? Jeff Crumbaugh: Yes, the Two Hearted 50K is a magical point to point trail race from Muskallonge State Park to the Upper Tahquamenon Falls. The race crosses the famous foot bridge over the mouth of the Two Hearted River. The course is unbelievably beautiful. Running will change you as a person. I look forward to talking with runners after this race. Will we organize anything longer? We always have ideas on the shelf so we will see. Organizing ultras takes a lot of work on top of the normal overload of responsibilities of race directing. I have a lot of admiration for race directors of ultras, especially point to point courses. 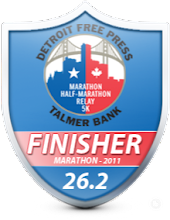 Detroit Runner: I see you are really concerned with the environment and the impact you have at the races. I love this feature of your races. Tell us a little more about this. Jeff Crumbaugh: When you run trails in beautiful natural environments you fall in love with the planet. The other day I was running out at the Navarino Nature Area in Wisconsin and, at a remote lake, I watched seven otters playing in the water while two bald eagles soared above. Great Lakes Endurance was started with the vision of connecting trail running events with environmental education. The best way to protect something is to fall in love with it. One of the best ways to fall in love with the natural environment is trail running - spending a lot of time outdoors moving gracefully through the forest. All of our events have environmental features such as recycled polyester or organic cotton race shirts, awards sources from artists or local farmers, and the requirement that runners carry a water bottle (to eliminate paper cup waste). We also donate a portion of race proceeds to local environmental causes such as native plant restoration (Grand Island) or environmental education (Tahqua). There is an urban marathon near where I live and I watched the post race cleanup. There were four industrial size garbage containers and front end loaders were filling them with paper cups and other trash generated by the thousand of runners. When you see the garbage and wastefulness of mainstream road racing it really forces you to ask some serious questions about our sport. 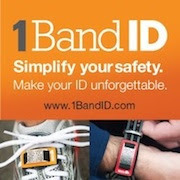 Detroit Runner: Is there anything else you'd like to share with my readers? Jeff Crumbaugh: If you have never tried a trail race I would encourage you to give it a shot. Michigan has some wonderful trail events. It will make your running an even more meaningful part of your life. Doesn't this just make you want to run a trail race after reading this? I'm so excited to share all these races with you this summer and hope that some of you can join me for their races. As Jeff mentioned, I had a similar experience with trails and, while I still road race periodically, trails have become my passion for running. I haven't run a trail race before, but I have been keeping my eye on the Tahqua and Two Hearted races for sometime in the future. I used to live in the Tahquamenon area so it would be nice to combine a visit with a race. I look forward to your recaps of these races! This last weekend I ran 21km on Saturday it was on the trails, it was slow and I stopped to take lots of pictures, then on Sunday I ran 21km on the road... no stopping, while it was an hour quicker I was shattered. The mountain is great, but i know I need both!